Gran Canaria is the third largest of the Canary Islands, after Tenerife and Fuerteventura, and is described as a “Minature continent” due to its huge variety of landscapes! Aside from great weather at almost any time of the year, this island is home to beautiful long beaches and vast sand dunes, rocky mountains, green pine forests and picturesque villages. We offer you the chance to take a Spanish Language course at our school in Las Palmas, which, together with an extensive social and cultural programme, gives you the perfect opportunity to learn Spanish in the most beautiful surroundings! 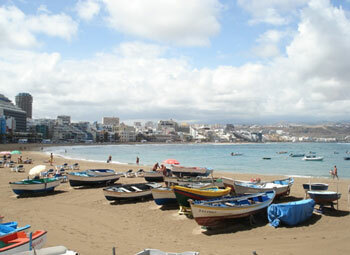 Las Palmas is the island’s capital, dating back to the 15th century. Here, you can wander through gorgeous cobbled streets filled with museums, galleries, cafés, restaurants, bars and shops, whilst admiring the colonial architecture. Las Canteras Beach in Las Palmas is known as the jewel of the city and is one of the prettiest and most famous urban beaches in Spain! The sidewalk that borders this long strip of golden sand is a haven filled with bars, cafés, ice-cream parlours and fresh-fish restaurants. At the other end of the beach is the surfing environment around the Alfredo Kraus Auditorium, with plenty of options for sports activities. 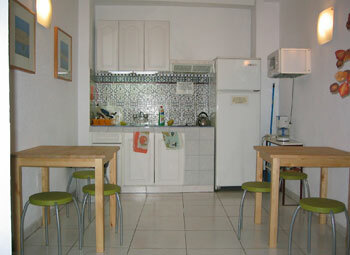 Our school and student accommodation are just a short distance from Las Canteras beach and its lively promenade! Our school and student residence accommodation make up three separate buildings located near to each other and only a few meters away from the port and Las Canteras. The school has a maximum capacity of 70 students, with 7 classrooms that are all equipped with a projector and multimedia equipment for use during Spanish lessons. The main school building also comprises a library, computer room with Wi-Fi access, student common area and two large patios. All teachers at our school in Las Palmas have a degree in linguistics or Spanish philology and years of experience in teaching Spanish as a foreign language. Beginner students will need to start on the first Monday of the month and students of all other Spanish levels can start on any Monday! 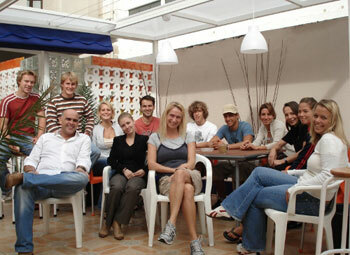 We offer Intensive courses in Spanish throughout the year, which consist of 20 group Spanish lessons each week. You will receive 4 classes per day in groups of maximum 14 students per class, with each class being 50 minutes in duration. The course is designed to develop your general language skills, with a particular emphasis on communication and conversation. A wide variety of resources and modern teaching methods are used to help develop students’ linguistic confidence and to ensure that you learn as much Spanish as possible in the time you have available in Gran Canaria! If you would like to combine group classes with some Private Spanish tuition then you can take a combined course consisting of 30 lessons per week (2 private lessons each day, in addition to the general Spanish course). Alternatively, you may wish to book only Private Spanish lessons for a completely flexible and personalised programme! This is ideal if you wish to concentrate on specific areas or language requirements. We offer 10 Private Lessons per week via our website, however do not hesitate to contact us if you wish to book a more intensive programme. We can arrange accommodation in the school’s own residence, which is ideally situated on the beachfront and just a 10-minute walk from the school! You will have your own room with a private bathroom, and each room contains a study desk, TV and free Wi-Fi access. Bed linen is provided. 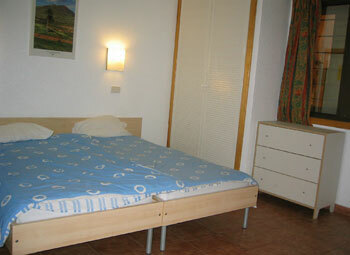 Accommodation is available on a bed and breakfast or half-board basis. Breakfast is served each day on the school’s terrace and lunch/dinner is a 3-course meal offered in the canteen. For a fully immersive experience, why not take part in the school’s social and cultural programme? There is an extensive variety of activities on offer, including weekly excursions to nearby places of interest on the island. You could also get involved in sports activities, such as diving, mountain biking, trekking, or even paragliding! There is a regular tapas tour organised by the school to the old quarter of the city, where you can taste the local specialities with a glass of beer or wine and practise your Spanish with your teachers, classmates and locals! 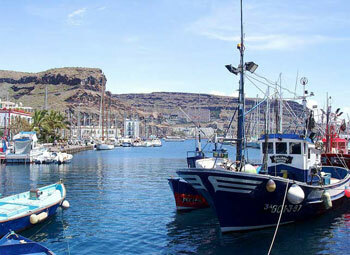 Las Palmas also offers so much to explore independently. 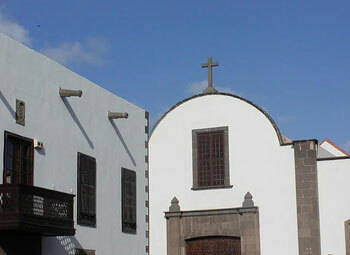 The oldest quarter of Las Palmas, namely Vegueta, was declared a Unesco World Heritage site in 1990 and is an atmospheric and fashionable area of the town, with some of the best restaurants and bars. Whatever your interests may be, there are endless free-time activities available in Las Palmas and across Gran Canaria! The energy of the city and the port is thriving and animated, and you won’t miss the opportunity to make the most out of your stay here. Airport transfers upon arrival / departure can be arranged at an additional cost. 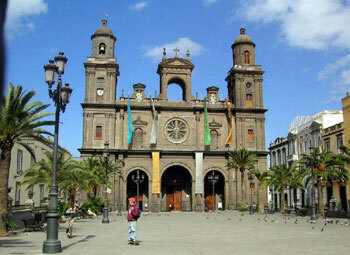 Alternatively, you can reach the city-centre by public transport from Las Palmas Airport, with buses departing every hour. Average score for our school in Gran Canaria - Las Palmas based on 6 previous client reviews. The teacher Samuel was only covering another teacher during his illness but he was amazing. He thought me a lot and I will for sure go again. I hope I can be teach by Samuel again. Perfect school, perfect course, the best teacher. I will go to live in Canary Island in November and so will do the course with you again. I did enjoy a lot my experience in Las Palmas! Both of my teachers (Miriam during the 1st week and Lidia during the 2nd one) were great to the extent that I intend to study in the same school again. The staff were helpful and the other students were quiet different from any standpoint and were coming from a lot countries:all of them were very friendly.